Megan is a higher education and employment law attorney with extensive investigation experience. Megan has conducted neutral, independent fact-finding and compliance investigations and audits for numerous entities over the years, including investigations into alleged misconduct, discrimination, harassment, and retaliation. In addition to her investigative and audit work, Megan works proactively with educational institutions and businesses on legal compliance and claim prevention, providing practical advice and training on employee, faculty, and student policies and day-to-day practices. Megan also has a strong record of successfully defending institutions before administrative agencies and in court when legal claims do arise. 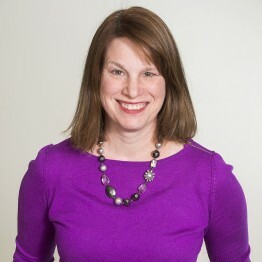 Megan has been focused on investigative, audit, and defense work for over 15 years, but spent her early years as an attorney representing plaintiffs in employment and other legal disputes. Megan believes that every dispute comes with a take-away lesson on how to avoid a future claim. She works to incorporate these lessons learned and her insights as a former plaintiff’s lawyer into her claim prevention, audit and investigation, and defense work. Megan is certified by the Minnesota State Bar Association as a Labor and Employment Law Specialist and is also a Qualified Rule 114 neutral.